Amir’s Grill is a small grill and restaurant in Morningside Heights that serves Middle Eastern and Vegetarian dishes. It is a single-page, non-traditional website that utilizes illustrations to convey a friendly and fun style. Instead of standard navigation, an illustration stays fixed at the top with the main links, that cause the page to scroll. It’s nice to have the comfort, as a business owner, that TVI has a knowledgeable team that can effectively complete any project or task at hand in a timely manner. 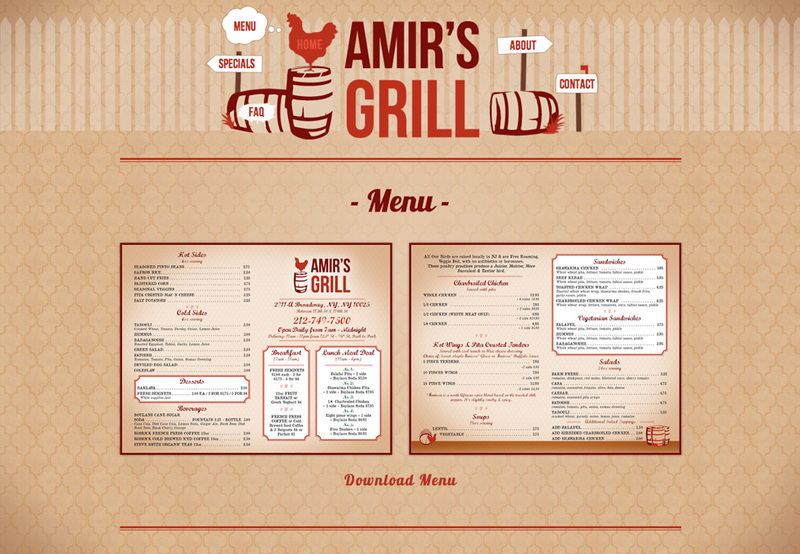 In our last project for Amir’s Grill delays were on our end. The team at TVI was courteous in approaching me and my manager to get the ball rolling and keep up. The services provided by TVI were instrumental in growing my business. The creativity with our menu and web design have generated curiosity from our customers. TVI exceeded my expectations and all this was done at a very reasonable price… The team knew exactly what I was looking for and was quick to make suggestions and steer me in the right direction.